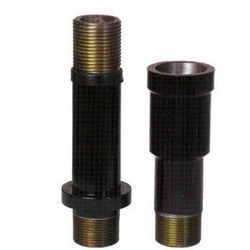 We are a leading Manufacturer of pipe adapter and sg iron column pipe adapter from Rajkot, India. Our clients can avail from us a diverse range of Pipe Adapter, which is manufactured using high-grade metal. The metal used in manufacturing is sourced from the credible vendors and is quality tested at our unit prior the use. We offer this array of adapters in various dimensions in order to meet the varied requirements. We are a well-known organization that is engaged in manufacturing, supplying and trading SG Iron Column Pipe Adapter. 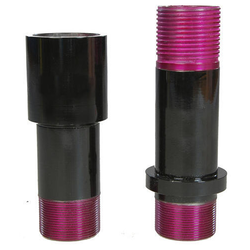 These SG Iron Column Pipe Adapter are very much strong and tensile and are appropriate for the manufacture of a long term utility appliances and engineering equipments. The offered range is designed and fabricated using high quality material so that it is in compliance with international quality standards. Furthermore, we customize these products as per the specifications detailed by our respectable patrons. Looking for Cast Iron Adapter ?